Lu Bird Baby: Somewhat Simple Giveaway! 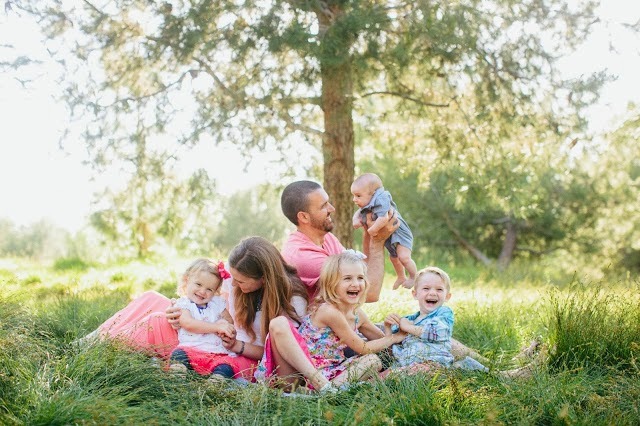 "I am a stay at home mom of 3 fantastic kids, and a wife to my very best friend. We are OC transplants living in sunny (and HOT) Arizona. We have been here for just over 4 years now and we LOVE IT! I have been selling crafts for years now at boutiques and on etsy, but just this summer decided to share my ideas with other creative minds on my blog somewhat simple. I post something new every day of the week- yummy recipes, craft tutorials, giveaways and all things creative! I I host a monthly creative challenges where ordinary people like you and me can join in the fun! 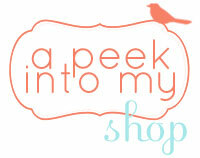 Come and see what I have been up to and get inspired!" Love, love love these wooden blocks. What a super cute wedding or anniversary gift they would make. I need this quote above our front window. It's our dog's favorite hang out place. and bark at every moving thing that goes by. Do your kiddos grow as fast as mine? And today is your lucky day! your very own family growth chart! You buy your wood and paint and she will send you the vinyl stickers! - "Our Growing Family" customizable decal- approx. 7" long x 6" tall and can be in any color you want. Just let me know the last name of your family! 2. Visit her blog and become a follower. you would want to put on the wall in your house! Love the blocks, they're a fun twist I haven't seen. I love the chore chart. I can't tell you how much that would help my family. So cute too! I follow the "Somewhat Simple" blog. I love the family name vinyl wreath in her shop. I would love to use the quote "I look through my window and what do I see?" in my home. My grandchildren would love it! My favorite thing is the growth chart! I don't have one but would LOVE to have this one! Love the growth chart! It is exactly what I have been looking for, I added it as a favorite item on etsy so if I don't win I can buy it later!! I have always wanted those family/ wedding blocks, but the growth chart is something I can see being passed down to grandkids! I just hung a quote in my baby girls nursery (5 weeks to go) that says "sunch a big miracle, in such a little girl"... it is perfect for us as we have lost two babies before her! It makes me happy every time i see it! Sorry, that's me above, "test" I just changed my screen name. I follow Somewhat Simple. I like the quote, "Home is where your story begins"
I would love this quote "Laundry room- loads of fun!" My fav products are the necktie onesies... go figure... I'm a mom of 2 boys! I REALLY want to put the words, "Together we can do anything" above the master bed. It's something my husband always tell each other. I would love her pillow talk blocks! "We need the temple more than anything else. "- Joseph Smith above our temple wedding picture. That's what quote I'd choose. I totally love the chore charts. I love the chore charts. It's not a vinyl quote I would want, but I would love our initials to put over our headboard. Our first initials and our Last initial in between all intertwined. Love the seasonal blocks and the polka dot hair bow holder. Cute, cute! I agree with Kristin... I totally need the "Looking out the window" quote for my house! Our couch in front of the window, on the left cushion is our boxer Gus' favorite place: the whole neighborhood expects him to be there watchfully greeting all passersby... so much so, that I am currently online procrastinating, because I am trying to avoid restuffing the couch cushions had to wash, because Gus had left a permanent squash spot on that side! I absolutely love the pillow talk blocks! Totally getting them for the next bridal shower I go to! I follow the somewhat simple blog. I love the quote about life being enjoyed not endured, by Pres. Hinckley. If you want a different quote, I think I need the quote by Sis. 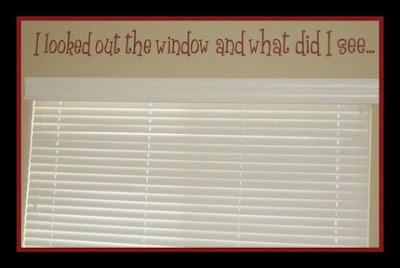 Hinckley about laughing or crying through life for my craft room...always a good reminder to laugh a little! I want to get our family motto up: "Day by day in every way I'm getting better and better" Emil Coue. I love all the things in her shop but i really like the family names and the vinyl above the window. To cute. I am a follower of your blog as well. I loved the "I looked out the window and what did I see" above the window! Cute! I like the polka dot letter hair clip holder. The quote on my wall would be: "Girl's Just want to have fun"
I am a follower of both blogs. I like the name est. blocks. If I could have any thing written on my wall it would be "All because two people fell in love"